Promaster movers offered a quote that completely worked for my budget. I needed neither too expensive nor to cheap moving services and I was so happy that I was able to do business with them. We could not have asked for anyone better! This company was absolutely amazing throughout the entire process. They showed a great deal of respect and treated my belongings like they were their own. Dealing with them was easy from the start, I had a good communication with their customer service rep too. As a matter of fact, she called me after the move to ensure that everything went according to plan. Promaster movers turned out to be very helpful and professional. They showed up early, packed up the rest of my items and loaded them carefully into the truck. They were very knowledgeable and accommodating and were willing to meet all my additional requests. In spite of operating in bad weather conditions, the movers were pleasant and friendly. They were a good investment and I won’t hesitate to contact them again if I have to move house again. Their services are affordable and comprehensive. I’ve really got a bigger bang for my buck. Highly recommended! I hired Promaster movers because they left a good first impression on me. They seemed like an honest company. They explained the course of the move and what the moving day would look like. It was all clear from the start. To be honest, affordability was an important factor as well. So after receiving a quote, I had no doubt about who to hire. I paid exactly the same amount in the end as I didn’t incur additional fees. They are the best movers I’ve ever met! Just keep up the good work, guys! I will recommend their services to everyone I know. Promaster movers provided all necessary information and guidelines about how to better understand all tasks related to the move. From our first contact they seemed like a reliable assistance as they were willing to answer all my questions. They explained how to safely pack my fragile items and what type of packing supplies to use. Thanks to these amazing guys my move went smoothly without any delays or inconveniences. They made sure my belongings traveled safely, nothing got damaged and at this point I cannot say enough good things about their outstanding service. I have already recommended them to my friends. Great job!! I want to share my experience with Promaster Movers. 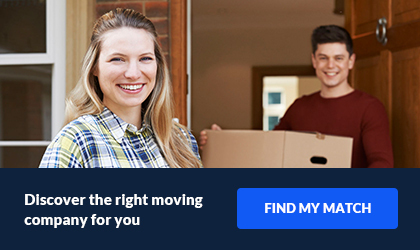 I spent a lot of time looking into which moving company I wanted to go with. I’ve read so many things about people having horrendous experiences waiting couple months for their items having everything wind up broken and not having a professional moving company. I did not want to go with the broker, I knew that. This company went out of their way to make me feel as if I was in good hands. They did a fantastic job. Everything was on time, which is great to complete my last day at work. Everyone I spoke to was professional and guide. I would definitely use them again, no question. Great moving company from start to finish with Promaster Movers. Everyone was easy to work with, and remained professional even when I called in upset about the additional charges. I was extremely stressed out over moving, and tried my best to budget but I ended up being a little short on funds. Their customer care team assured me they would do their best to delay the delivery a few days so I could arrange for additional funds. I was able to lend money from a family member and delivery was right on time. I did have a few damaged items, but claims took care of that within 30 days, like they said they would. I would absolutely use this company again. 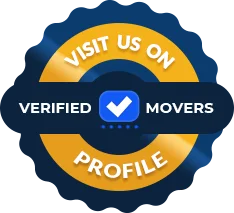 The best relocation service ever, is the experience I had with Promaster Movers I suspected that they had the diverse ability and expertise, but it was to the level they performed. I did my application with them online, and shortly they responded to my task details. They sent me a quotation that was favorable compared to the services they were to offer. I cleared all the payments, and the team was in Nevada ready for relocation to New York. They helped me put all the stuff together and loaded them to the van. I got a promising offer from Promaster movers when I was moving to Texas. I agreed also to a temporary storage fee since I needed a place for my items while my new home was being renovated. I didn’t have much time for packing, so I entrusted them with that task as well. They handled my belongings carefully, also provided some specialty boxes for my fragile items. Everything went smoothly, so imagine my surprise when I discovered that my belongings couldn’t fit into the tiny storage unit. As a result, some of my boxes were moved to a storage located far away from my both homes and the delivery was 5 days late. I ended up feeling angry and disappointed with the poor outcome of their service, especially because they seemed honest and reliable at first. Promaster Movers knows that research is important when it comes to moving. They make it their ongoing goal to go above and beyond for customer satisfaction. 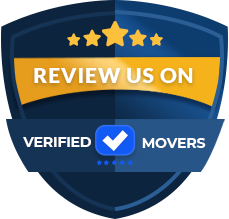 They are a moving broker in South Florida who only hires movers who have gone through full screening to ensure your household goods are safe. While offering local, long-distance and international moves, they know how to cater to each customers needs. It does not matter if you are moving within the same neighborhood or to a whole different state, they have the ability to meet all of you expectations. They provide services to businesses, as well. It can be very difficult to find a mover who will value your time when moving an office. With Promaster Movers, you will not miss a beat. Whatever you needs are, they will meet them seamlessly. Storage is also offered at an affordable price. Maybe you are vising family during your move or maybe you do not have your new homes set up with. Not a problem! Both short-term and long-term storage are offered. Once you are ready to have your items delivered, just give them a quick shout! They will assist you in getting everything set up. This way, your items will be back to you, safe and sound, in no time at all! They stick to their word and will always show up on time. Promaster Movers understands the stress can be associated with moving, at any distance. This company is here to make your move go smooth so you can relax. They will meet your needs and take the reigns. You will also stay informed every step of the way! They have exceptions customer service skills and know just how to aid you with your move. Every employee works to provide efficient service.